It's like reading a story that holds your heart in your hand - each turn of the page brings a new angle to the characters you've grown to know and find comfort in. You can fall in love with the way that her dress flows along with the tall grass in the wind at the forest preserve. The only difference between a great novel and your photo album? It's a visual record about you and who you've become until this moment in the book, and you can fall in love over and over again with the characters in this story. 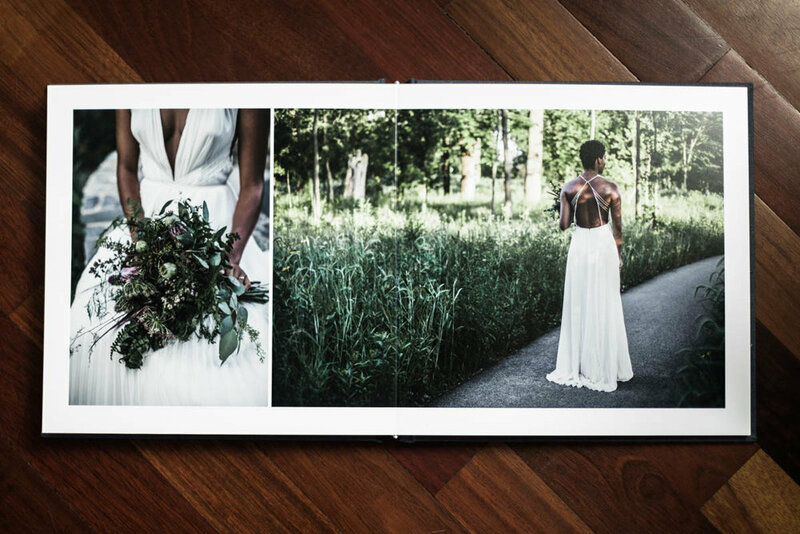 Super excited to announce this new line of albums for clients - gorgeous thick and sturdy pages that are built to outlast the test of time, natural linen cover in Rain (one of my favorites), silver foil cover title customized to each portrait session, and you can add on multiple adorable matching mini albums for your family to enjoy too. Honestly the cutest thing I've ever seen. These beautiful albums are archival quality and guaranteed for life, come in a wide variety of natural linens and are handmade in the US. The exceptional, hearty weight the albums hold will make you feel secure in knowing that your photographs and your memories are safe for generations to come. Sign up to receive the free Portrait Session Prep Kit that spills the beans on all you need to know to plan a successful portrait session.